The National Food Security Act (NFSA) of 2013 aims to provide food and nutritional security to the citizens while ensuring access to adequate quantity and quality of food at affordable prices. In Jharkhand alone, the state government claims to provide benefits under the act to 57,29,416 families. 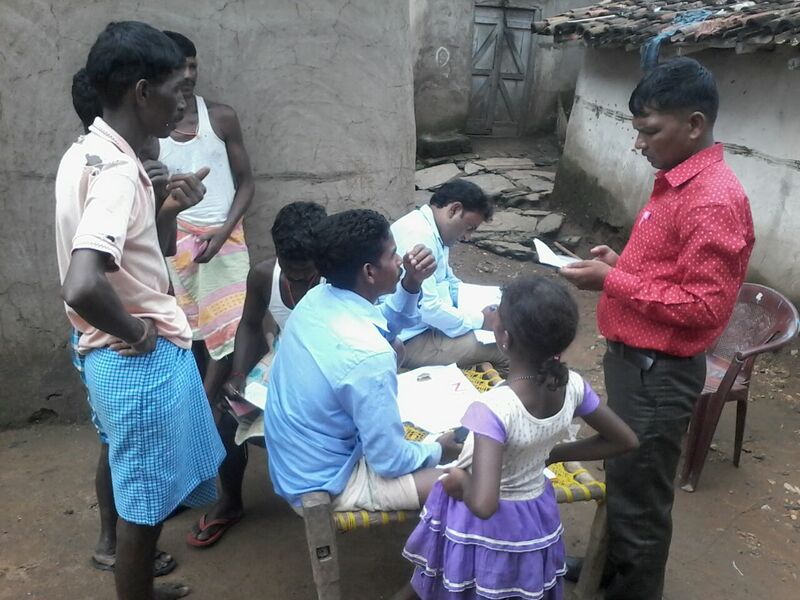 In August this year, Digital Empowerment Foundation’s Soochna Seva team carried out physical verification of all ration card holders, in four villages of Ranchi district, who are eligible under NFSA. For this purpose, due permission was sought from the Block Development Officer (BDO) before initiating the verification process in the villages of Mirchaitoli, Mailghoswa, Pipratoli and Sarubera in Hesatu Panchayat. With the successful completion of this verification, the plan is to expand beyond the pilot phase and carry out similar surveys in all five blocks of Ranchi district. The purpose of this verification was to ascertain irregularities adopted by ration dealers and vendors while rolling out benefits under NFSA in an effort to reveal the challenges often based by victims of malpractices. The questionnaire subsumes basic details of the households, besides specific details pertinent for NFSA entitlements. For the purpose of verification, information sought through the physical survey was matched with that extracted from Ahaar Jharkhand — a state-specific portal for Food and Public Distribution. On December 11, 2017, a report with these and other key findings was presented to the BDO during a public meeting organised by the Soochna Seva team. The ration dealer of the area was also present at the congregation to clarify the survey findings to the audience.